Our year-long BPEX field trial on recording and making better sense of data will soon be complete and we will be discussing the results with other producers at local pig club meetings. Danish pig consultant and ex production manager, Sanne Baden, of Pig Improvements Ltd, has been visiting six different pig units on a quarterly basis to help make sure pig performance data is entered into recording systems accurately and interpret the management reports to help figure out whether and where change is needed. 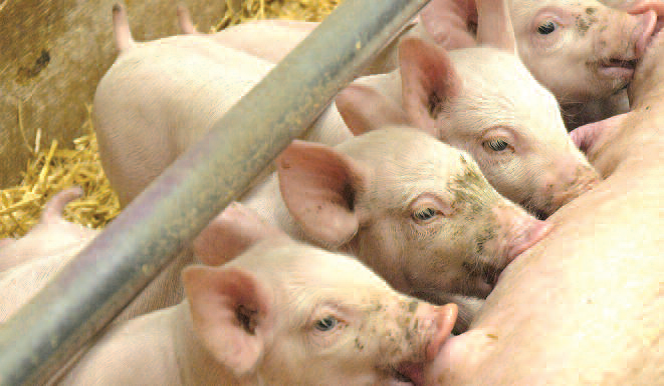 Pigs weaned per sow per year on producer Tim Blanchard's unit have increased from 24.7 to 27.9 due to a number of factors, including a 10% increase in conception rate, improved parity profile and a 2.2% reduction in pre-weaning mortality. When data highlighted pre-weaning mortality as an area to improve, Tim’s farrowing house staff started recording some additional information on cause and age of piglet death. They found that many were happening in the first 24 hours and it was often because piglets were cold, therefore going under the sow and being laid on. Tim now synchronizes farrowing and has employed an extra full-time person to help manage the extra attention needed by farrowing larger numbers born and has reduced the pre-weaning mortality down to 6%. From looking at ages of piglet death, Tim was able to identify what likely impact staff would have in the farrowing house. Feel free to contact me or your regional knowledge transfer manager for help with data interpretation.